As you can imagine we’re in party mode here at Sketchfab now that Facebook has integrated our 3D embeds into their timelines! There were many great embeds to choose from already, but we had to pick one and that was Dmitry Grebenkov’s Fisherman. Pebble Time has broken all the records on Kickstarter this week. And while we’re not on their Kickstarter page (yet ;-), many websites have picked up our lovingly crafted 3D version of it, like here on Gizmodo. Oooh, that looks painful. Kotaku is starting to feature awesome Sketchfab game art more often now, like Final Fantasy VII, Cloud vs Sephiroth Omnislash! The Ultimate Hacking Keyboard (want!) 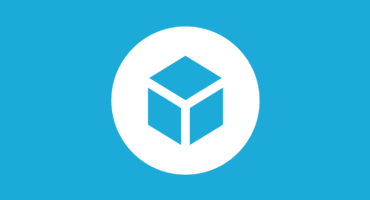 uses an annotated Sketchfab model to guide you along their features. It’s about halfway down the page. Belgian 3D Printing service i.Materialise published Creating a Simple Chess Piece in Blender and included the result of their tutorial as an embed. Bespoke interior creators Homelane show their work with Sketchfab. Go explore the mountains with Zibock. Going up of riding down, it is a great 2-in-1 hiking and skiing system. Now on Indiegogo! With Sophia, smart data meets fitness in a high tech jumping rope. Track calories, sync your exercise, and get closer to your fitness goals. Preorder one on Kickstarter! This week on Indiegogo, and soon on your keys, Symlis Sparrow turns a flash-drive into a USB cable to charge your smartphone. Check it out! Smartstones is a wearable device that lets you send messages with swipe, tap, or shake gestures. A great way to humanize technology, and it’s up on Indiegogo as well!